“This is an opportunity to send a message: it’s Detroit, Michigan, and Detroit, Michigan is on the comeback path,” said Gov. Rick Snyder, who says he plans to sign the bills as soon as they land on his desk. “We can hopefully get to the point by this fall of saying the bankruptcy has been resolved, and that Detroit is a growing community. The Senate did not take up a controversial bill that would prevent the DIA from renewing a millage in Wayne, Oakland, and Macomb counties. A spokesman for Senate Majority Leader Randy Richardville, R-Monroe, says that bill is “dead.” But Richardville called the decision to contribute to the settlement smart and conservative. But the Senate vote was not unanimous. Sen. Coleman Young, D-Detroit, said the legislation gives the state too much power to oversee the city’s finances into the future. “It simply won’t do for the people of my city, my friends, my neighbors, my constituents, to be put under the thumb of another body, hand-picked by this administration to enact policies in their own best interests, not Detroit’s,” said Young. Young was the only Senator to vote against all nine bills in the package. Today we got an update on Detroit’s bankruptcy. 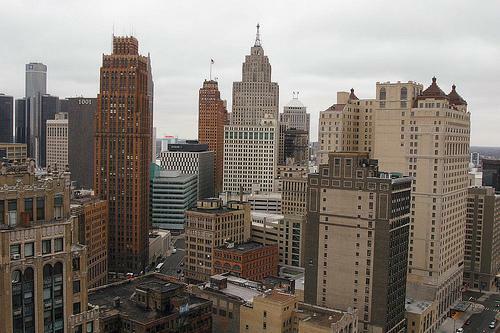 It has been a busy few days in Detroit's bankruptcy journey. Emergency manager Kevyn Orr and Mayor Mike Duggan were on Mackinac Island last week making their collective cases to the state's lawmakers and business leaders. At the same time, the city's pensioners have begun to vote on the plan of adjustment, even as opponents of the “grand bargain” are seeking new ways to get their hands on the city's art. Detroit News Lansing reporter Chad Livengood and Michigan Radio's Zoe Clark joined us today. 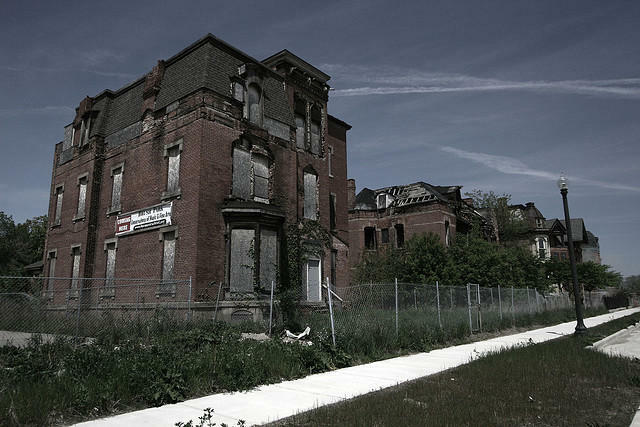 A new report from the Blight Removal Task Force says that there's a lot of buildings that need to be eliminated in Detroit. Yesterday, Kai Ryssdal of Marketplace interviewed Erica Gerson. She's the chair of Detroit's Land Bank Authority. The organization deals with identified blight in the city and makes buildings usable again. 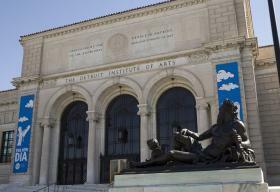 The Detroit Institute of Arts is firing back at creditors who say the city should use the museum’s assets to pay them off. The DIA filed a formal objection to those creditors in bankruptcy court this week, just as city lawyers acknowledged an ongoing effort to put a price tag on the museum’s entire collection.